We all wish that travel could be more affordable! Even more so, when you are travelling with your family. Money spent on flights, accommodation, food and not even to mention entertainment can add up very quickly! We want to show you that affordable family travel is achievable, and we have enlisted the help of other family travel bloggers to share their proven tips and tricks on how you can enjoy your next family holiday at a more affordable rate. 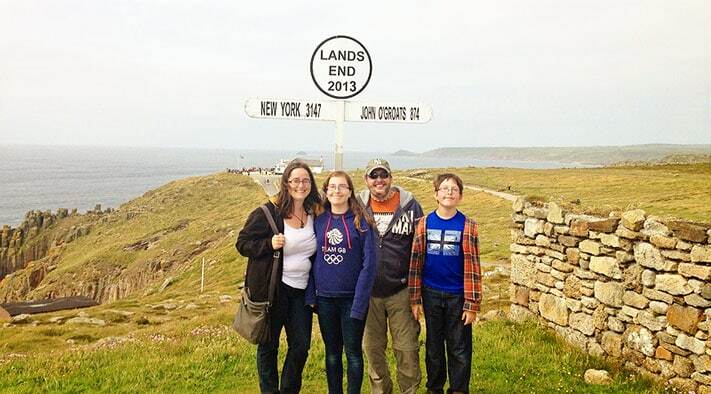 For our seventh family interview, we welcome Mary from The World is a Book who, with her family, has travelled to and visited over 40 countries and 30 states! 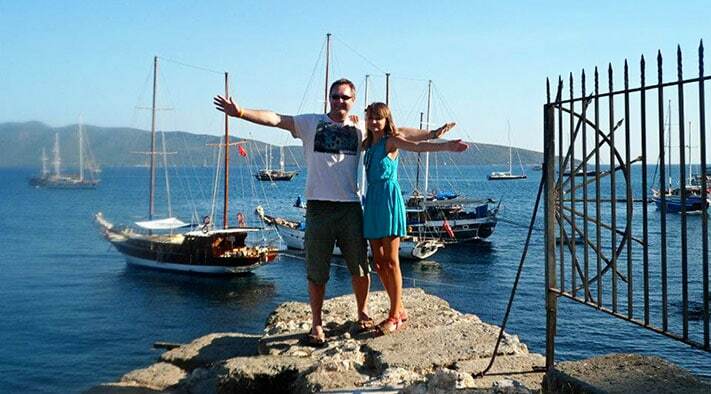 She shares her experiences and knowledge of using miles and points to cut costs; together with running her blog in order to exchange reviews and social media to save on travel expenses. To read more ‘Affordable Family Travel Interviews’, click here! 1. Can you briefly introduce yourself, your family and your blog? I'm Mary and I travel with my husband, daughter (age 13) and son (age 10). We live in San Diego, California. My husband and I both work full-time outside the home and the kids go to traditional schools. So, we tend to pack a lot into vacations. We just came back from a whirlwind two-week trip covering four Scandinavian countries. We’ve all traveled to over 40 countries and over 30 states. Our family’s adventures around the world are shared on my blog called The World Is A Book. 2. 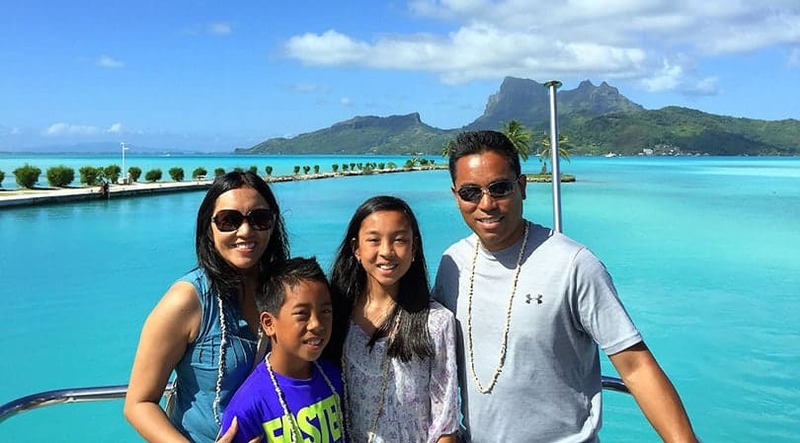 Why is family travel important to you? It is important to us to explore new places and learn about new cultures. We knew we wanted to show our kids that there's a whole world out there for them to see. We’ve traveled since they were infants and haven’t stopped. It’s also a way to make memories as a family. We are so busy with work, school and activities that we treasure this time spent together. 3. How many times per year does your family get to go on a holiday? Are these domestic holidays or international? We travel during three-day holiday weekends in the USA and these are domestic trips. We usually travel internationally during summer and winter holidays and sometimes during Spring breaks. 4. How does your family afford to travel? My husband and I both work full-time so we finance travel this way by saving money for trips. It sometimes helps to have a blog to exchange reviews and social media promotions. We pile on the savings by sometimes doing the miles and points games. I’m also constantly searching for discounts and airfare deals. 5. Which destinations or countries have you found to be most affordable? Traveling with US dollars, we found that the most affordable countries are in the Caribbean, SE Asia plus Portugal, Mexico and Canada. 6. Do you have any tips in regards to saving money in the planning stage of the holiday – on flights/hotels/package deals etc.? We save money in the planning stage by reserving many things in advance. With my kids’ school calendars, recitals and soccer/football game schedules, we know a few months out which weekends and holiday breaks are available. I set up airfare alerts on sites like kayak or airfarewatchdog for specific destinations. I also follow sites like Secret Flying on social media to get alerts on error fares and airfare sales. It’s so important to do a lot of research for rental cars and lodging during the planning stage in order to save money. Savings are usually greater the further out from trips and you have more choices. After reserving hotels and car rentals, we still check prices again a week or two before the trip in case of any price drops. We like to use Flipkey or Airbnb for apartment rentals to save with meals and snacks and we love all the space it offers. For trips within the USA, we check out sites like Groupon or Living Social for those cities for any specials and coupons on various attractions and activities. We also go to AAA beforehand to see what discounts they offer for attractions. The Entertainment Books are also a good resource to get beforehand to save money on attractions and dining places at many cities across America. 7. How do you prepare your children for a new country? We have prepared our kids by reading books about the countries we’re visiting when going overseas. 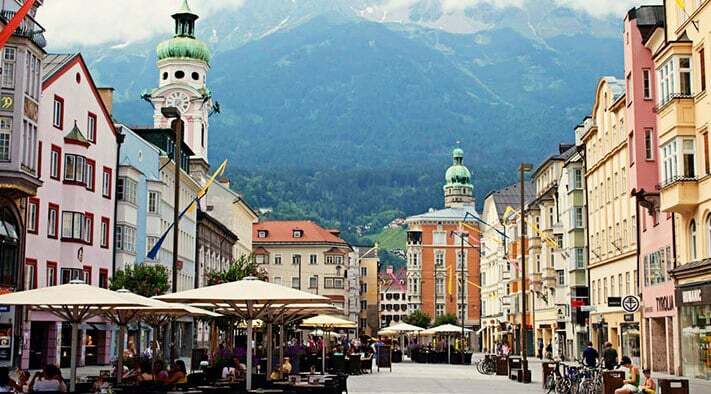 We’ve also watched movies like the Sound of Music again before visiting Salzburg. You tube videos on particular destinations and attractions have been very helpful for my kids. As my kids have gotten older, they have helped with the planning and research, which is a great way to prepare them for traveling to a new country. We’ve learned a few key phrases like “Hello”, “Thank you”, “How much?” that goes a long way with the locals since it's showing an effort. 8. What is the one item your kids need to travel with? Like many teenagers, my daughter cannot go anywhere without her smartphone. I’d probably be lost without my iPhone too. My son always travels or asks me to pack him a bag of snacks. He’s a growing boy and always seems to be hungry. He’s usually agreeable to any adventure as long as he’s well fed. 9. Do you have any tips in regards to saving money whilst on the holiday – meals, activities etc? While hotel rooms are nice, it's unfortunate that many hotels in European and Asian cities cannot accommodate for a family of four. We love apartment rentals for the space and cost savings it provides. We also like shopping at grocery stores overseas. It's always fun to see what the locals eat and what's available. It's a wonderful cultural lesson. It also saves money when we're staying at apartment rentals and cottages. We always seek out free things to do in cities. It has also provided good blog post material and has become quite a popular series on the blog with “5 Free Things to do in…” many cities around the world. It's surprising to find that many cities offer free guided tours done by locals or provide a self-guided tour map. 10. Many people are bit sceptical of travelling with children; what is your best advice to make a family holiday a success? Don't let having kids stop you from traveling. The intangible rewards and benefits and memories for the whole family will far outweigh the challenges you'll meet. When my kids were younger, travel was a little slower. We had to build in some downtime with more stops along playgrounds, parks and carousels. As my kids have gotten older, we've learned to compromise on the activities so everyone will have a say in this family vacation. Get older school age kids, tweens and teens involved in the family travel planning process with destination and activity ideas and suggestions. It's a lesson in travel planning and has helped us too. The kids are more likely to be excited and agreeable to doing the activities if they contributed in some way and have some vested interest. Mary lives in San Diego, California with her husband and two kids, who are 13 and 10. She was born in the Philippines, grew up in the U.S. territory of Guam, and believes all those years of island fever ignited her serious case of wanderlust. She currently works full time as a database developer and computer programmer. She writes about the family’s travels along with tips and guides on her blog, The World Is a Book. 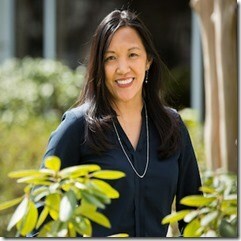 She is also a family travel writer for Hilton Hotels and Resorts’ Hilton Mom Voyage site. She loves cruises, castles, National Parks, and museums, from art to quirky. 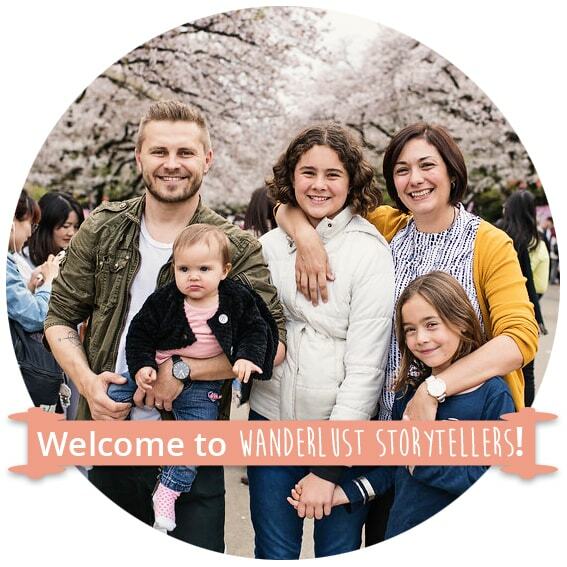 Watch out for the next featured Family Travel Blogger! *(You must have kid/s and have affordable family travel tips and recommendations to share).